The Ducks return four starters and seem poised to build an annual contender. But in the Pac-12, you can't ever count out Sean Miller's Wildcats. With summer recruiting heating up and summer sessions underway, SI.com is taking a look at the state of each conference. Players are listed by what year they will be in the 2016–17 season. Click here for the American, ACC, A-10, Big East, Big Ten, Big 12 and Mountain West. Below, the Pac-12. The Ducks won a regular season conference title and followed that by hoisting the Pac-12 tournament trophy and now enjoy the return of four starters, including two players who tested the NBA draft waters and then elected to stay in Eugene. As a result, Oregon should be a top-10 preseason team entering the 2016–17 season. Leading scorer Dillon Brooks (16.7 ppg) is returning, although he has been held out of summer workouts with a foot injury. If he's healthy, he'll be joined by sophomore point guard Tyler Dorsey (13.4 ppg) and 6' 10" Chris Boucher (12.1 ppg, 7.4 rpg, 2.9 bpg), who will anchor the paint. They will be the centerpieces of a team looking to build off a 31-win season that ended in a regional final loss to Oklahoma; but in the bigger picture, they might offer a bridge to consistent championship contention. Without Brooks and Dorsey in particular, the Ducks would have been forced to hope multiple role players would leap into lead roles while hastening the development of three top-100 recruits that arrive out of the Class of 2016. Instead, both Brooks and Dorsey should be in the conference player of the year conversation while the three four-star recruits—point guard Payton Pritchard, small forward Keith Smith and center M.J. Cage—can ease in and be primed to assume larger responsibilities down the line. On the whole, the off-season, basketball-wise, could not have gone much better for Dana Altman’s program, both for what might happen this winter and what might happen in the winters to come. Can Lonzo Ball save Steve Alford at UCLA? Can UCLA do a basketball-style facelift and accommodate what Lonzo Ball can offer it? The 6' 5" sharpshooter guard from Chino Hills, Calif., arrives in Westwood along with the cavalry: Ball is the nation’s No. 7 recruit, per Scout.com, and he’s joined by 6' 10" Ike Anigbogu (No. 17 overall prospect) and 6' 10" T.J. Leaf (No. 22). Most intriguingly, Ball averaged 25 points for a Chino Hills program that averaged nearly 100 points a game last season while, apparently, attempting to break the sound barrier on a basketball court. Meanwhile, UCLA’s pace of play in a 15–17 season was so utterly breakneck that it ranked 307th nationally in adjusted tempo, per kenpom.com. Common sense says that, as long as Ball is the real deal, Alford and his staff should adjust their philosophy in order to extract as much as possible from a talent they likely broke their backs to lure to campus. If it doesn’t come together as hoped, for whatever reason, not even a hefty contract buyout ($7.8 million until April 30, 2017, per the Los Angeles Times) might be enough to buy Alford another year. We hardly knew ye. The 6' 7" forward—the nation’s No. 16 overall prospect—was set to join Arizona for 2016–17 and team with two other five-star recruits (6' 4" guard Rawle Atkins and 6' 10" forward Lauri Markkanen) to refurbish a Wildcats lineup primed to recapture its spot atop the conference. And then, on June 30, Ferguson announced he was skipping college entirely to play professionally in Australia for a year. (What the NCAA might have considered specious academic achievements at Advanced Preparatory Academy in Dallas perhaps had something to do with it, too.) Weep not for Sean Miller; even without Ferguson, the Wildcats will contend. But it is a stunner of a preseason personnel shift for a possible Pac-12 champ. Arizona: The Wildcats ranked 41st in adjusted defensive efficiency last year, after ranking first in 2013–14 and third in 2014–15. Can Miller coax elite-level defense out of a young roster, or will Arizona have to rely on outscoring the opposition with one proven decent three-point threat (sophomore Allonzo Trier, 36.4%) available? Arizona State: Year 2 of the Bobby Hurley Era will require the Sun Devils to shoot it better (260th nationally with a true shooting percentage of 51.8) and to stop opponents from shooting it so well (291st nationally allowing a 55.3% true shooting percentage). 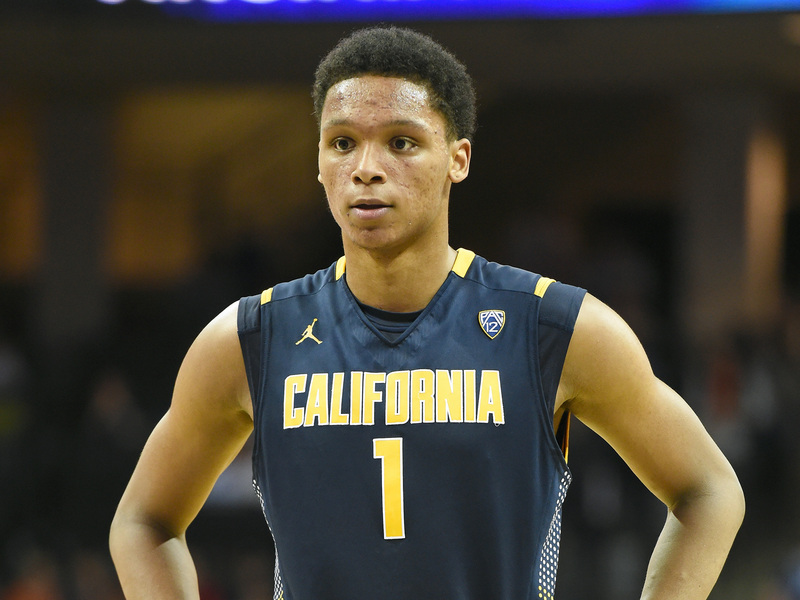 California: Ivan Rabb snubbed the NBA draft and a possible spot in the lottery to return for his sophomore year. But the Bears lost their top three scorers—including the surprising transfer of third-leading scorer Jordan Mathews (13.5 ppg)—and that means Cuonzo Martin must unearth ways to prevent teams from swarming Rabb (12.5 ppg) in the post and daring others to beat them. Colorado: The Buffaloes ranked 125th nationally in offensive efficiency and lost the only player on the roster (senior big man Josh Scott) who shot better than 50% from the floor. While Tad Boyle has good pieces in guards George King (13.6 ppg) and Josh Fortune (10.3 ppg), he’ll need to rev up the production some if he wants to avoid another first-round NCAA tournament exit. Oregon State: The departed Gary Payton II led the Beavers in points, rebounds, assists and steals, but the next three leading scorers were part of a solid Class of 2015 recruiting haul (three four-star prospects) that set Wayne Tinkle’s program up nicely for the long run. Now it’s just a matter of getting those sophomores to take ownership in a way that Payton’s presence probably didn’t permit. Stanford: Reid Travis missed the final 22 games of 2015–16 with a left leg injury and was second on the Cardinal in scoring (12.8) and the leading rebounder (7.1) at the time of his shutdown. Priority No. 1 is getting the 6' 8" Travis right, and then first-year coach Jerod Haase will have four double-digit scorers back from last season. UCLA: Here’s one benefit of another influx of talent, particularly with Ball eating up some backcourt minutes: Alford can figure out this summer how to ease the workload on his son Bryce (36.3 minutes per game in 2015–16) and Isaac Hamilton (35.3) and keep his players fresher for the February-March stretch run. USC: Andy Enfield has what coaches might call a good problem: Too much backcourt talent to sift through. There’s Jordan McLaughlin (team-best 13.4 ppg last year), 18-game starter Elijah Stewart (9.8 ppg) incoming top-100 recruit Jonah Mathews and Louisville transfer Shaqquan Aaron. Establishing a rotation that keeps everyone happy is paramount to continuing the upward trajectory that produced 21 wins and an NCAA tournament bid last season. Utah: Can the Utes coax a breakout year from Lorenzo Bonam, a 6' 4" former junior college guard? Bonam is the second leading returning scorer (10.2 ppg), shot 51.3% from the floor last year, had the top assist percentage among regulars (21.3%) and ranked second in Win Shares (3.5) to departed big man Jakob Poeltil (6.8). The opportunity might be there for Bonam to assert himself as one of the Pac-12’s most complete players. Washington State: A Cougars team that lost 17 of 18 conference games—one that won just nine tilts overall—returns two of its three double-digit scorers. Is that a good thing for a unit that ranked 211th in offensive efficiency and 208th in defensive efficiency? The mission of the summer in Pullman is simple: Get better at dang near everything.